Shopping for a new Toyota Highlander? 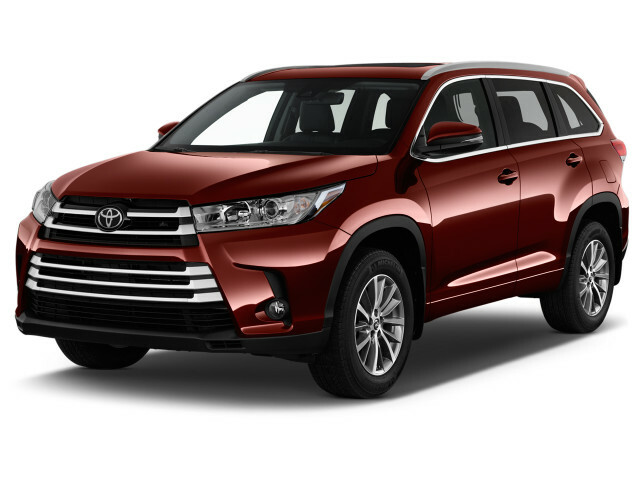 Avoid the Toyota Highlander 4-cylinder at all costs; the Highlander V-6 is actually more fuel efficient and not that much more to buy in the first place. Curb weight: 4,165 to 4,965 lbs. The 2018 Toyota Highlander is a three-row crossover SUV for up to eight passengers. Shoppers may consider the Highlander based on its badge on its nose, but its versatile interior, impressive safety record, and strong V-6 engine option are reasons enough to stick around. With its 2018 Highlander, Toyota has made time stand still—or at least it has carried the crossover over into the new year with no changes from 2017. 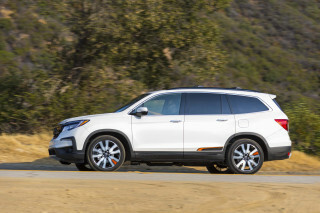 This popular crossover remains available in a dizzying array of trim levels: LE, LE Plus, SE, XLE, Limited, and Limited Platinum, most of which can be ordered with a hybrid gasoline-electric powertrain. 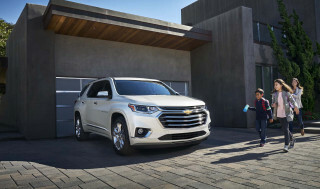 The Highlander Hybrid is among the most fuel-efficient crossovers, but most Highlanders are powered by a 3.5-liter V-6 rated at 295 horsepower that can be paired with front- or all-wheel drive. A 185-hp 2.7-liter 4-cylinder is standard on the base Highlander LE with front-wheel drive only; it’s cheap, but you get what you pay for. Though it may look a little truckier than shapely rivals such as the Mazda CX-9 and Chevrolet Traverse, the Highlander is a car-based crossover aimed at conquering a snow-covered parking lot in suburbia than plucking its way up an unpaved mountain pass. Leave that duty to Toyota’s 4Runner if you’re a mud-plugger. Toyota fits the Highlander with some of the most advanced safety technology in its class. 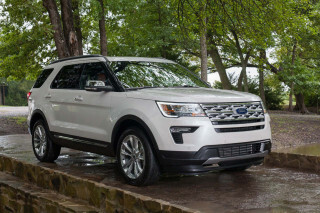 All models have automatic emergency braking with pedestrian detection, adaptive cruise control, active lane control, and automatic high-beam headlights. That’s enough to earn a Top Safety Pick+ nod from the IIHS and five stars overall from federal testers. Its exterior won’t win it many fans, but the Toyota Highlander’s interior is comfortable and calming. Beauty, thy name is not 2018 Toyota Highlander. A substantial update last year gave the Highlander more power and a better interior, but it did no favors for the crossover’s exterior. Toyota seems to have taken a page from its Lexus division with regards to the Highlander’s razor-sharp front. Looking something like a pyramid made out of Gillette Mach 3s, the snout protrudes enough to make us somewhat uncomfortable. That’s a shame since the rest of the Highlander is muscular and shapely in a sort of mini-Land Cruiser way. The Highlander SE tones down the chrome with a dark finish to its grille slats, yet its 12-spoke wheels look a little more “1998 tuner” than we’d like. Then again, the average buyer with a growing family of little ones probably dreamed of a Supra on these wheels 20 years ago, so maybe it’s a valid design. All Toyota Highlanders ride well, but the optional V-6 is definitely worthwhile. Fortunately, the Highlander’s 2.7-liter inline-4 is relegated only to the base LE trim level with front-wheel drive. 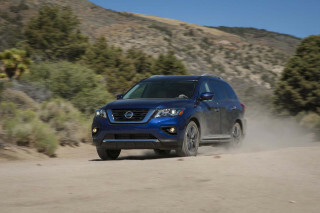 Its 185 horsepower and 184 pound-feet of torque is tasked with motivating about 4,165 pounds of crossover, meaning even the slick-shifting 6-speed automatic transmission can’t elevate it. With a full load of humans and cargo aboard, it’s a struggle to pass even tractors plugging along at half the speed limit. Moreover, the base inline-4 is considerably thirstier than the optional V-6—mainly because it’s constantly struggling. Our advice? Avoid the 4-cylinder. 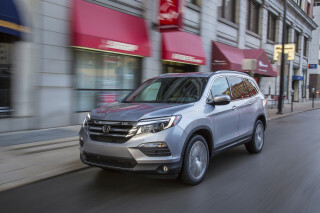 Optional on the LE and standard elsewhere the Highlander’s 3.5-liter V-6 is rated at 295 hp and 263 lb-ft, which is shuttled to either the front- or all-four wheels via an excellent 8-speed automatic. This smooth and strong V-6 is muscular and refined. It’s one of our favorite engines in any application, even something as big and heavy as the Highlander. The Highlander Hybrid, available as an LE, XLE, or Limited, or Platinum, uses a version of the same V-6 mated to a 45 kw nickel-metal hydride battery and two electric motors. All Highlander Hybrids are all-wheel drive. At 306 hp combined system output, they’re peppy, but the roughly 300 pound curb weight increase over a non-hybrid means they’re slightly slower. The Highlander Hybrid uses a continuously variable transmission that provides near-instant acceleration, albeit with a little engine drone reaching the cabin. Most Highlanders ride on a suspension that’s tuned to prioritize ride comfort. LE and XLE trim levels feature 18-inch alloy wheels with a decent amount of sidewall that provides them with a buttery smooth ride almost worthy of a Lexus badge. 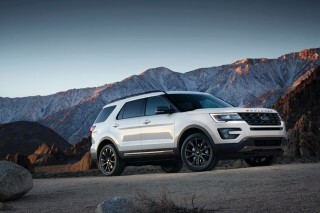 Opt for a Limited or Limited Platinum and the 19-inch alloy wheels standard on those make things a hair firmer. The Highlander SE—not available as a hybrid—has a sport suspension that firms things up without actually making this crossover much more fun to drive. All models have precise, accurate steering that’s light enough for easy in-town maneuverability albeit with a hint of on-center vagueness on the highway. Despite their vaguely mini-Land Cruiser looks and 8.0 inches of ground clearance, Highlanders are not meant for serious off-road use. Instead, their optional all-wheel-drive system endows them with confidence-inspiring traction on slippery, snow-covered roads. If you’re a sun-belter, the front-wheel drive Highlander will probably suffice. The Toyota Highlander’s interior is well thought out with good storage for both humans and cargo, although it’s not particularly upscale. All versions of the 2018 Toyota Highlander are comfortable and solid inside, with terrific space for up to eight passengers. Front seat passengers are treated to supportive seats. 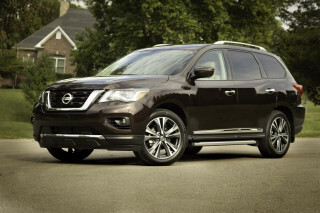 The driver’s seat is power-adjusted on all models, while XLE and above grades feature a power passenger’s seat. Oddly, no model has a height-adjustable passenger’s seat, an omission that feels borderline glaring on a fully equipped Highlander. The second row moves fore and aft at the tug of a lever and folds flat in a 60/40 configuration for larger objects. Some versions are available with individual captain’s chairs for the second row. While this drops the Highlander’s seating capacity from eight to seven, it allows for an easy pass-through to the standard third row and there’s even a small table that pops up to hold small items while on the go. All the way back, there is room for kids, but it’s tight for adults. The third row isn’t power-folding, but it flops flat with the tug of a lever and, when upright, the backrest is adjustable for rake. Behind the third row, the Highlander has just shy of 14 cubic feet of cargo space. Fold the third row and that grows to more than 42 cubes. With the second and third rows stowed away, the cargo floor is flat and offers more than 83 cubic feet of space. Both the Highlander and the Highlander Hybrid have the same amount of space inside. There’s plenty of small item storage space scattered throughout the cabin. We’re particularly enamored with a shelf integrated into the dashboard that’s perfectly sized for smartphones, pens, and sunglasses. The Highlander’s cabin is fitted with fairly nice materials given its price. Soft-touch plastics and rubbers dominate the dashboard and front door panels. Work your way back and the material quality drops off a bit. LE models have copious painted silver trim that looks downmarket, but Limited and Limited Platinum variants swap in reasonably convincing fake wood. The SE has its own interior trim and black leather seats, but no model feels especially luxurious inside. Kudos to Toyota for making some important safety tech standard on the 2018 Highlander. The Toyota Highlander boasts one of the highest levels of standard collision-avoiding tech for a three-row crossover and it has performed well in crash tests. 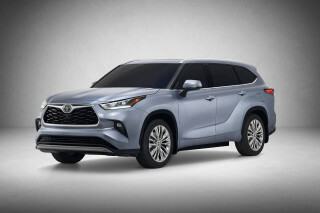 All Highlanders come standard with what Toyota brands its Toyota Safety Sense-P package: adaptive cruise control, forward collision warnings with full-speed automatic emergency braking, lane departure warnings, active lane control, and automatic high beams. Here, those features are included; on rivals, we suggest paying extra for them. Combined those features a full complement of airbags and a solid crash structure, and it’s a recipe for success. The IIHS rates the Highlander a Top Safety Pick. Only its “Acceptable” headlights keep it from earning perfect scores all around. The federal government awards the Highlander with five stars overall, albeit with four stars in the frontal crash test and four stars for rollover. Toyota offers a wide range of Highlander models suitable for just about every budget. The lineup starts with the Highlander LE, available with either 4- or 6-cylinder power (all other models are V-6-only). It may be the base Highlander, but the LE looks the part with its 18-inch alloy wheels, tinted windows, and turn signal mirrors. Inside, it’s fitted with a 4.2-inch LCD screen in the instrument cluster, a rearview camera, cloth upholstery with a power driver’s seat, and a 6.1-inch infotainment system with Bluetooth connectivity. The Highlander LE Plus runs about $2,400 more than an LE with the optional V-6. For that money, you’re treated to an 8.0-inch infotainment system with a navigation app that uses a connected smartphone’s data plan, three-zone automatic climate control, a power passenger’s seat, synthetic leather and cloth upholstery, a flip-up rear window for small item access, and a few styling bits. Next up is the Highlander XLE with a moonroof, full navigation that doesn’t require a smartphone, leather upholstery, heated seats up front, and a microphone integrated into the overhead console that amplifies the driver’s voice so that passengers in all three rows can hear the answer to “are we there yet?” crystal clear. The Highlander SE builds on the XLE with a sports suspension and some special styling elements, and 19-inch alloy wheels. Next up, the Highlander Limited features perforated leather with air conditioned seats up front and heated seats in row two, memory for the driver’s seat, and a JBL audio system. The Limited Platinum bridges the gap between Toyota and Lexus with a surround-view camera system, a heated steering wheel, and a panoramic moonroof. The Highlander Hybrid model range mostly mirrors the gas-only model, albeit without the LE Plus and SE trim levels. Additionally, all Highlander Hybrids are all-wheel drive. Toyota doesn’t offer too many options on the Highlander lineup. XLE and Limited models offer the choice between a second row bench and captain’s chairs and they can be equipped with a Blu-ray rear-seat entertainment system. Toyota’s Entune infotainment system works well and the available integrated navigation system is easy to use. We like that Toyota offers an app-based navigation on LE Plus models, a move that allows owners access to a large navigation screen at a reasonable price point. But no model offers Apple CarPlay or Android Auto, a glaring omission in 2018. The 2018 Toyota Highlander Hybrid delivers excellent fuel efficiency. Other models? Not so much. With its strong V-6, the 2018 Toyota Highlander is fairly fuel-efficient given its size and girth. 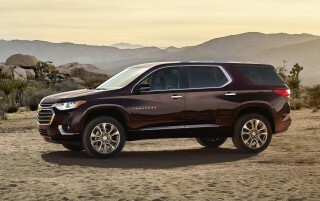 But the real standout here is the Highlander Hybrid, one of few truly thrifty vehicles capable of seating up to eight. 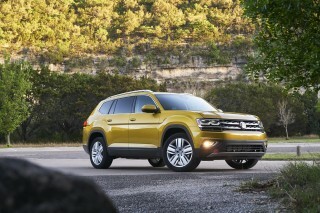 That model is rated using the EPA test at 19 mpg city, 26 highway, 22 combined. Not great, but not terrible either. Skip the all-wheel drive and those figures rise to 20/27/23 mpg. Think you’re going to use less gas by sticking with the Highlander 4-cylinder only available with front-wheel drive on the entry-level LE? Think again: its 20/24/22 mpg actually makes it the thirstiest Highlander since the little 4-cylinder has to work so hard to motivate this bulky crossover. All V-6 Highlanders have an auto start/stop system that cuts out the engine at traffic lights and starts it up again as soon as the driver’s foot leaves the brake pedal. It’s mostly unobtrusive and is among the best of these systems. It’s a prettier picture when it comes to the Highlander Hybrid: 30/28/29 mpg for the LE with its 18-inch wheels and 29/27/28 mpg for other models thanks to slightly larger wheels and a roof rack that increases drag. All Great,looks nice to me,somewhat Plain,miss only tight handling, after BMW. Toyota sales people are not too Intuitive to explain cars possibilities. You get what you pay for. Main reason bought car for its... All Great,looks nice to me,somewhat Plain,miss only tight handling, after BMW.